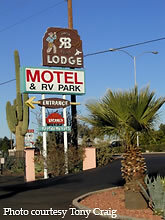 Check out this marquee for the RB Motel which appears to have been on site since at least the 1950's. 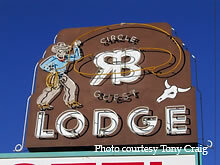 The cowboy or rancher doing the "circle" on the sign itself looks like full featured neon, similar to the letting on the sign itself. 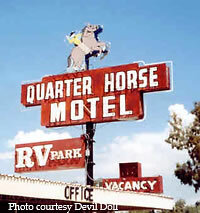 This roadside motel and RV park is located in Mesa, AZ. 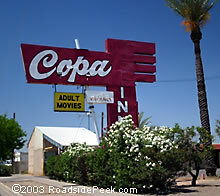 The Copa Inn in Phoenix features a large sign and advertises adult movies. A great name for a city with loads of sun. 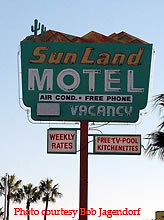 Here's the Sun Land Motel of Tucson, built in 1949. 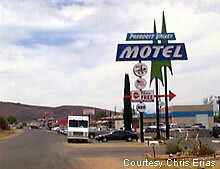 Found is Prescott Valley is this gem of a motel marquee for the Prescott Valley Motel. The sign itself is shaped and colored to attract the attention of motorists. The motel dates back to 1966. 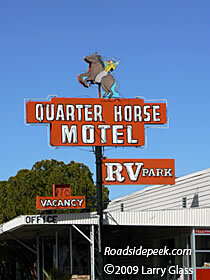 The Quarter Horse Motel features a standing reminder of the western themed marquees, here in Benson, AZ. 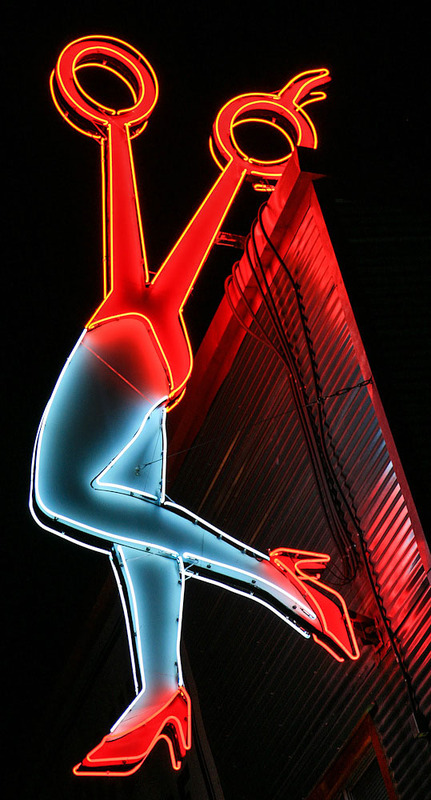 Check out the cowboy character on this sign on the rooftop of the motel that was built in 1949.